If you have watched the movie “Taare Zameen Par”, chances are that you already know a little about learning disability. The struggles of an 8 year old dyslexic boy to meet the expectations of his parents as he fights his own fears was definitely heart warming. This movie did a good job in showcasing the problems a child with a learning disability could face, if it goes undetected. Learning disabilities, often called “hidden disabilities”, are hard to detect as there are no physical conditions associated with it. They are not learning problems resulting out of visual or hearing handicaps or mental retardation. Rather they are neurologically based processing problems. In simple words, their brains are wired differently and they tend to process regular instructions differently. Dyslexia, which affects the language based processing skills, is just one the many known learning disabilities. There are many others like, Dyscalculia, Dysgraphia, Auditory Processing Disorder, Non-verbal learning disabilities, ADHD and so on, with each disability having a different set of signs and symptoms. Here are a set of general symptoms you could look out for in your child. Difficulty following directions: difficulty remembering left and right, does not follow basic instructions like run, eat, sit. Slow in learning a new concept – has a poor recall / memory, shows disinterest in anything new. Do not get alarmed if you have a child in kindergarten who is displaying some of these symptoms. Each child is unique and learns at his / her own pace, and that does not necessarily mean he / she has a learning disability. As a parent, if you suspect your child has a learning disability, keep a constant watch to see if these problems continue as they go to higher classes. (For example, if a child reaches 2nd or 3rd standard and still finds it hard to differentiate between “b” and “d”). If your child is a slow learner or displays any of the above symptoms, first rule out any physical disability. For example, your child could be short sighted and might need spectacles. If there are no physical disability, rule out environmental factors. For example, your child might write superbly at home but might be getting stressed at school due to a particular teacher, resulting in slow learning (and not due to learning disability). If there are no physical or environmental factors affecting your child, contact your child’s pediatrician and see if you can get a professional opinion on the matter. Finally, if your child is diagnosed with a learning disability, what next? Accept the fact and move on: Many parents find it hard to accept the fact that their child has or may have a learning disability. They go through a guilt trip or play the blame game on how their child might have got it. Just stop and ask yourselves for a minute, what if it were not a learning disability? What if it were just short sight or any eyesight problem? Many parents just don’t give it any second thoughts. They just get their child the required spectacles and move on. If your child has an eyesight problem and you refuse to accept it or get him / her the required spectacles, would your child be able to perform normally at school? It is the same with a learning disability. First accept that there is an issue and see how best you can help your child to overcome the problem. Remember, your child looks up to you for everything and how he /she responds to the problem depends a lot on how you respond to it. Refusing to accept the fact would only lead to more problems for your child. Listen and talk to your child: Do not have unrealistic expectations from your child. Talk to him / her and find out what issues they face. Understand your child’s problems before offering solutions. Being unable to perform like his / her peers at school might be affecting your child’s confidence. Talk about your own strengths and weaknesses. It is important for them to know that not everyone is good at everything, including you. Your child might not be good at maths due to dysalculia, but maybe he / she is a great dancer or a painter. Praise them for their strengths. They need to feel good about their strengths. Become your child’s teacher – Thomas Alva Edison, the inventor of electric bulb, was dyslexic and apparently learnt to write only at the age of 12. It is said that his mother was forced to remove him from school, but she took over his education at home. The electric bulb would never have seen the light of day if his mother had given up on him. You need not remove your child from school like his mother did. Take charge of your child’s education. 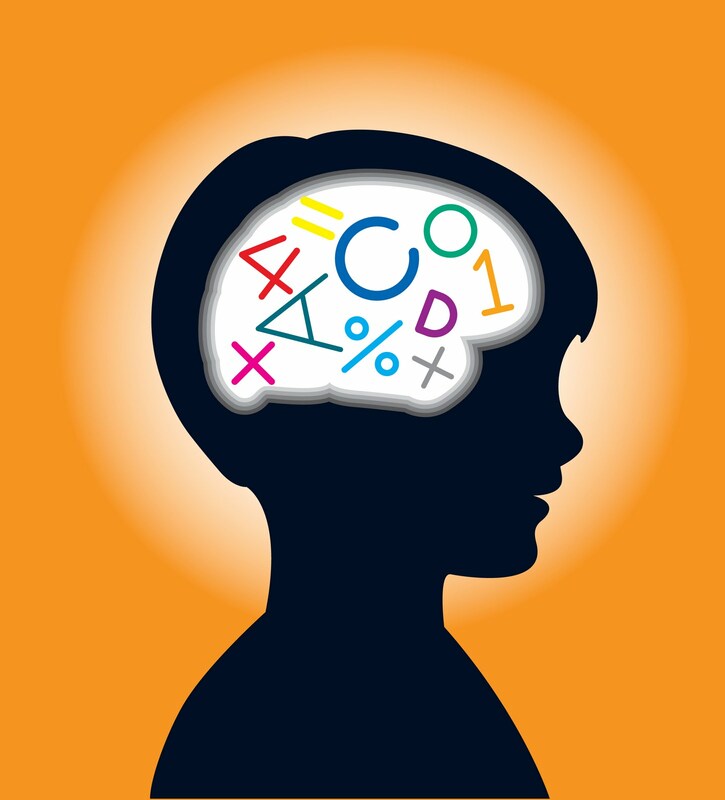 Find out how your child learns best. Is he / she a visual learner (learns best with shapes, diagrams, pictures or any written material) or auditory learner (learns through songs, movies) or a kinesthetic learner (learns best while moving around, needs to touch and feel things to learn). Talk to your child’s teachers at school. Remember that at school teachers have to focus on many students and it may not be possible for them to show specific attention to your child. But they need to be aware of your child’s problem so that they recalibrate their expectations from your child and are more encouraging. Emphasize on healthy eating habits and good lifestyle: Falling sick frequent would only add to your child woes. Make sure your kid gets plenty of good food. Getting adequate sleep is also important. Sleep deprivation can affect your child’s ability to learn. Make sure they get a minimum of 8 hours of sleep. You could plan weekend fun activities together, like just going out for a run or taking dance classes together (with focus on having fun rather than the actual learning). Having a learning disability does not mean it is the end of the road for your child. Michael Phelps the great swimming champion, Daniel Radcliffe the boy who plays Harry Potter on screen, Steven Spielberg the famous film director, Leonardo Da Vinci the famous inventor, painter, designer during the Renaissance period are just some of the examples of people who had learning disabilities. Having a learning disability does not mean your child is dumb. They probably are extremely intelligent are destined to become famous artists or scientist of this century. They just need a little support from your end. Even if they do not become anyone famous, they will definitely thank you for standing with them and understanding them.